A successful nursing career begins with a degree from an accredited nursing school. If you live in the Punta Gorda metropolitan area (home to Port Charlotte), you’re in luck. The area offers access to a number of accredited nursing schools that offer programs at all levels. For example, Western Michigan University-Punta Gorda has registered nursing (RN) to bachelor of science in nursing (BSN) (RN to BSN), master of science in nursing (MSN), and graduate certificate gerontology programs, while Horizon Healthcare Institute - Port Charlotte has both licensed practical nursing (LPN) and certified nursing assistant (CNA) programs. Another option, Charlotte Technical College, has an LPN program. These other local accredited programs prepare students to take the appropriate licensing exams. For example, the WMU-Punta Gorda BSN prepares graduates to take the National Council Licensing Examination for Registered Nurses (NCLEX-RN). The LPN and CNA programs prepare students to take the National Council Licensing Examination for Practical Nurses (NCLEX-PN) and the Florida Certified Nursing Assistant (CNA) Exam, respectively. Note that a license or certification is required in fifty all states. The programs at WMU-Punta Gorda are accredited by the Higher Learning Commission (HLC) and the Commission on Collegiate Nursing Education (CCNE). Horizon Healthcare Institute - Port Charlotte is approved by the Florida Board of Nursing and Licensed by the Commission for Independent Education. 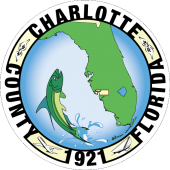 Charlotte Technical College programs are accredited, regulated, and/or approved by the Florida Department of Education, the Commission of the Council on Occupational Education (COE), and the Florida Board of Nursing. Graduates of these and other local accredited programs will have the education and skills needed to pursue positions at major Florida hospitals and healthcare centers. Charlotte Regional Medical Center, Bayfront Health, and Fawcett Memorial Hospital are just a few options. If you’re ready to begin your nursing career in Port Charlotte, Florida, then it’s time to begin your search for an accredited nursing school. Our list of accredited nursing schools in Port Charlotte, Florida, can help you get started.